I break for chipmunks and anything else that crosses my path. We don’t automatically squish bugs when they enter our home, instead we try to capture them and set them free in the great outdoors. Sometimes however, spiders and ants simply make bad life decisions. I don’t like it when I see dead critters such as deer, bear, porcupine, groundhogs, possum, etc on the side of the road. I was especially upset just recently by a suicidal chipmunk. Both my wife and I have suddenly applied the brakes several times over the last few days to avoid running over this little guy, always in the same place, it seemed to have a fascination with a particular crack in the road. His luck ran out, we noticed that somebody ran him over the other day. In front of our house I discovered a bird nest complete with bird and eggs. I approached the nest and momma bird flew to a nearby branch and yelled at me. I walked away and avoided that area, but over the next few days I kept my eye on that nest. I checked on the eggs when momma wasn’t around, carefully avoided the nest while she was sitting on the eggs. Yesterday momma bird was suspiciously gone. I checked the nest, the eggs were gone, no trace. Something got them either another bird, possibly a snake, who knows? It’s life in the wild. But still I couldn’t help but be upset about the ordeal and in my own quiet way I mourned the loss. Of course it is different when it is a pet, even when it is not one of my own. 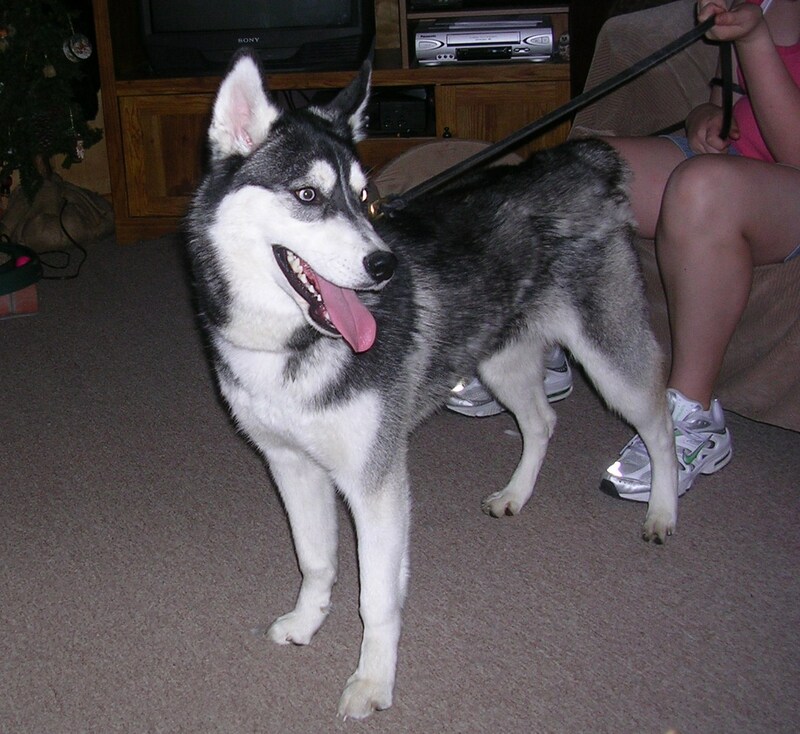 Maya was a great Husky who left us way too early. Maya had a wonderful human family, human mother T and human sister M. My wife and I consider ourselves extremely fortunate to have these two people in our lives, to have them as friends. These are two of the nicest people I have ever met and it was Maya who brought us together. Human mother T and sister M have had a really rough year, a really rough year. And through it all they have managed to hold their heads high, handled themselves and their situation with grace, strength and dignity. My wife was talking with M on the phone a short while after Maya passed away. M explained how they have lost pets before but with Maya it was different. During all the upheaval in their lives Maya was always a constant, always there. Maya would always crawl into bed and comfort M.
For the longest time our dog Sequoia simply didn’t get along with other dogs. Sequoia would growl and lunge and just be keyed up for a fight. However Sequoia liked Maya the two became fast friends with only the occasional arguments. Since then Sequoia has gotten along with a few other dogs but none I would call ‘friends’. So how does one say goodbye? In Maya’s short time she left her mark, she brought us together, she drove us all a little crazy with her constant yipping. She made us laugh, she brought us comfort and she brought us friendship. Maya though your time with us was short the paw print you left on our hearts is deep. You will never be forgotten. Rest in peace my friend. Rest in peace. Wiscoy is a local pet/animal supply place. Not a pet store because they don’t sell pets just everything you need to keep your pet healthy and happy. And not only pets but fish ponds, wild bird feeders, food etc. The owner and the staff are very knowledgeable, friendly and helpful. In August they host the Ice Cream Social for Dogs. Wiscoy usually has a few cats in the store that are up for adoption from the local shelters and rescues. Today they had two really cute kittens in a large cage. They were jumping around climbing the bars, mugging each other having just a grand old time. By coincidence we ran into some friends of ours, Ben Salinas and his lovely wife Jen. Ben is one of the professional magicians in town and just happens to be a really great guy. We started talking about magic, about cats and dogs and life in general, when out of the corner of her eye my wife spotted the kittens which I had been quietly playing with earlier. I’m not sure if the lady was relieved or offended that we were not talking about her, but those kittens are absolutely adorable. I May Be Odd, But So Is My Dog! My dog begs and does tricks for a chunk of cheddar cheese every morning. She won’t touch it at night because it is morning cheese. I like rainy days, but I hate being in the rain. Sequoia will not tolerate anyone blowing on her, yet she gets in the car and all she wants to do is stick her face out the window nose to the wind. As a responsible pet owner, I beg you only to do this at slow speeds, it is not funny when dogs get hit in the head with flying rocks. We purchased some knuckle bones for Sequoia, she would not even lick at them until we covered them in BBQ sauce and put them on the grill. I won’t eat spaghetti in public. Sequoia will go into Petco and beg for treats, (and get them from the staff) yet if we purchase any of those treats and bring them home she won’t eat them. It does not matter that she loved them in the store because those are Petco treats. 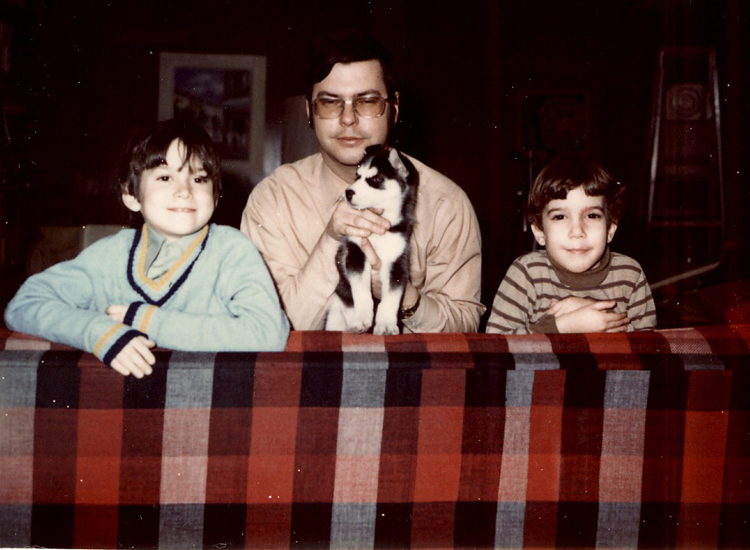 When I moved to Pennsylvania I brought along my cat Kaliban. She passed away a few years ago but I think of her often. If you say ‘Kaliban’ in Sequoia’s presence she throws her head back and howls I like to think that Sequoia is also missing Kaliban and is singing to her. Sequoia is a hairy beast. 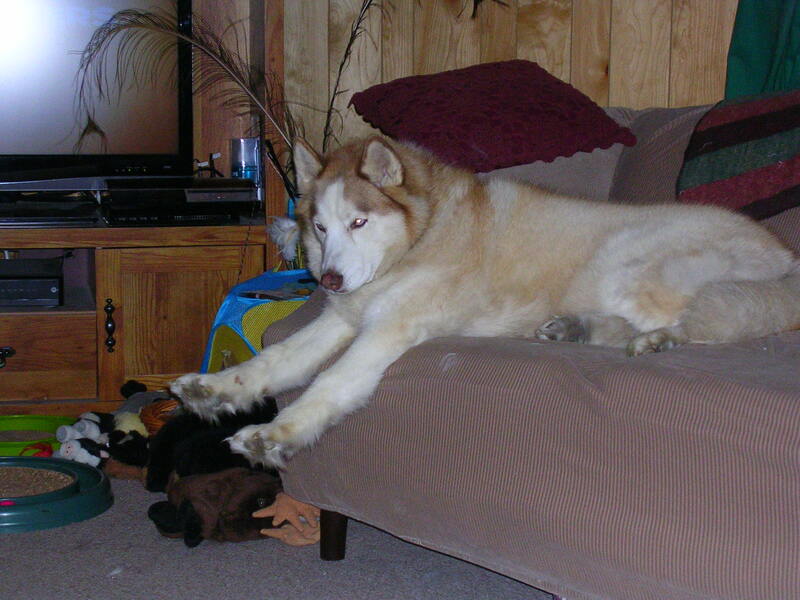 Sequoia, very un-husky like is also quite sedentary. She does not destroy the furniture; she has every toy we have ever given her. Every morning just before I open her door, I say, quite loudly, “Release the Kraken” almost every morning she comes out stretching and yawning, makes it about two steps past her door and lays down again. While I spent most of my life demonstrating magic tricks, I don’t like to be the center of attention. When Sequoia enters a room, she makes sure everyone knows she is in the building. I’m not overly fond of people. Sequoia positively hates other dogs, they are the enemy! However, every Friday in August at 6pm, Wiscoy has its annual Ice cream social for dogs. She spends a great deal of time growling at the other dogs, yet she loves the event. We like to call Sequoia our Sequoiamatic, give her a plate and she will clean it like new that is unless there is ketchup, she thinks it is evil. Sequoia doesn’t like other animals touching her stuff of course ‘her stuff’ is everything in her line of sight. I’ve heard it said that pets and their owners rub off on one another. I believe this to be true, all my clothes are covered in Husky hair. Sequoia is a snoring fool. Everybody who comes in contact with Sequoia always tells me how beautiful she is. Never has anybody told Sequoia how beautiful I am. My wife tells me that sometimes I don’t listen. If you don’t have food, Sequoia is not the best listener either. 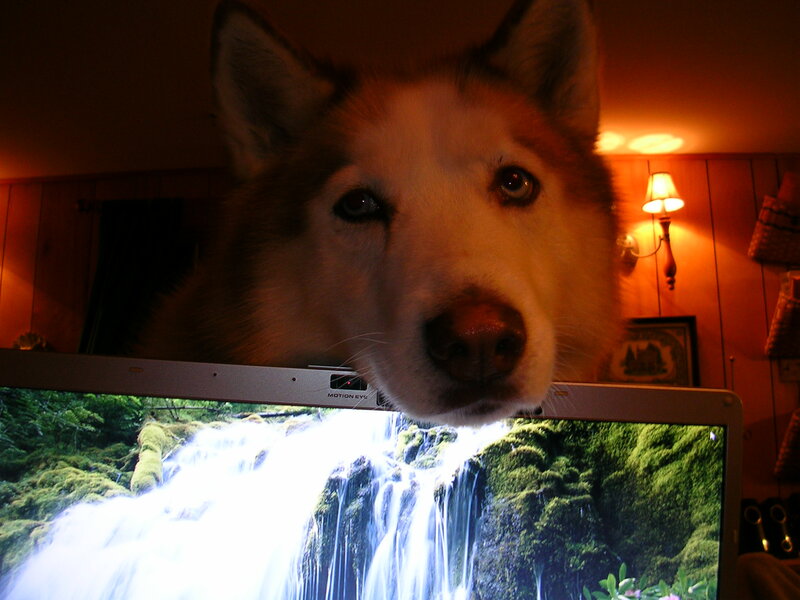 Sometimes Sequoia doesn’t know when to stop whining. Sometimes I don’t know when to stop typing. 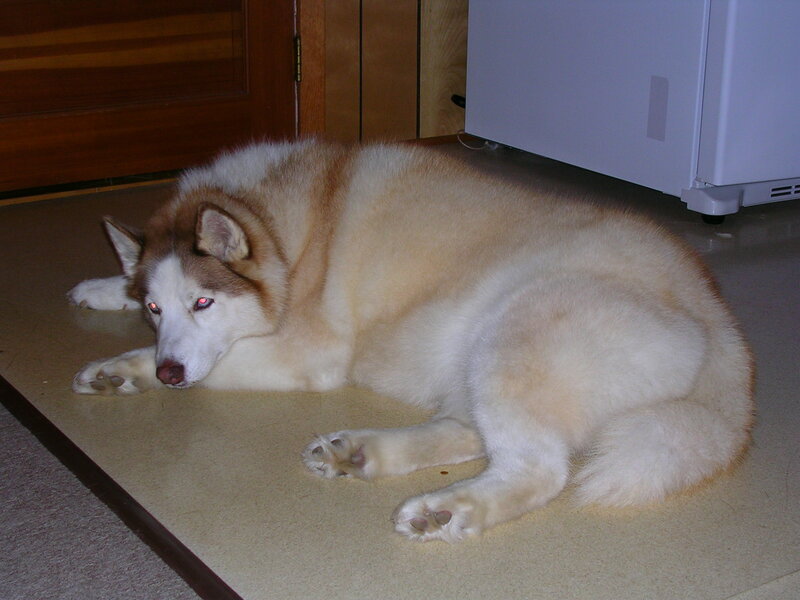 Our dog, Sequoia has epilepsy, for years we managed to keep it under control through diet. Not long ago we had to resort to medication. The first type made her absolutely insane. Switching her medication was not as easy as it sounds because she had to be on her old medication at full dose and at the same time be on her new medication at full dose. At this point not only was she insane dog, she was insane dopey dog. She did not have a lot of muscle control in her back-end and was tripping over her own back legs. Her medication made her incredibly thirsty, her thirst combined with her loss of muscle control meant she could not hold her pee through the night, much to her dismay there were a few nights she couldn’t hold her poop either. It didn’t seem to matter what time I checked on her or how many times I would take her out by morning time I would be cleaning up pee. In retrospect I think she may have done it on purpose, payback for making her feel like crap. Unknown to her however I’d rather clean up after her than not have her around and I re-assured myself that there must be a light at the end of the tunnel. So I’m not sure who had the last laugh. Finally we were able to stop giving her the original medication and she is doing better, only the occasional accident and has not pooped in her room at all. And praise the Lord and pass the bourbon she is so much calmer than she was. Not only that, at the 5:30am walk it was very quick, she wouldn’t even have to poop, she would quickly pee and want back into the house, I would feed her and then take her out again when we left for work, at which time she would finish her business. A few days ago I started to think about daylight savings. Would Sequoia be able to handle that extra hour? I came up with a plan. I would ease into it over a two-day period. I usually get up at 5:30am and take her out. I figured that on Saturday I would get up at 6 and if that went well on Sunday I would get up at the new 5:30. For those of you who are a little more astute, you may already see the flaw in my plan. For the rest of us here is the problem. We were supposed to turn the clocks back on Saturday night not Sunday. So when I looked at my clock at 5:30am, that’s right it was only 4:30. I was patient and waited till my clock said 6am and I took her out. Of course it was only 5am so the reality of the situation was that I was going the wrong way. You may be thinking, so what? You went to bed at the same time so the amount of hours never changed, no big deal, just start over the following day. There is yet another twist in the road. On the weekends, unless we have something planned I will get up at the usual 5:30am let the dog do her business feed the dog and cats and go back to sleep. We may not get up again till 10:00am. Which is exactly what happened this particular time. The difference was my wife figured out my time mistake when I got back into bed which was at 6:20am which was really 5:20am. At this time we adjusted the clock to the correct time and went blissfully back to sleep. We finally left the bedroom around 10am. As I opened the bedroom door I realized my second mistake of the new timezone. The dog had eaten earlier than usual and we were up later than usual. I opened up her bedroom door and there sat a very forlorn looking dog who had pooped on the floor. I’m thinking she got over her incident as she got to go to Petco today and is currently fast asleep on the sofa. Having made two mistakes so quickly in the new timezone leaves me a little leary about what the rest of the winter brings. 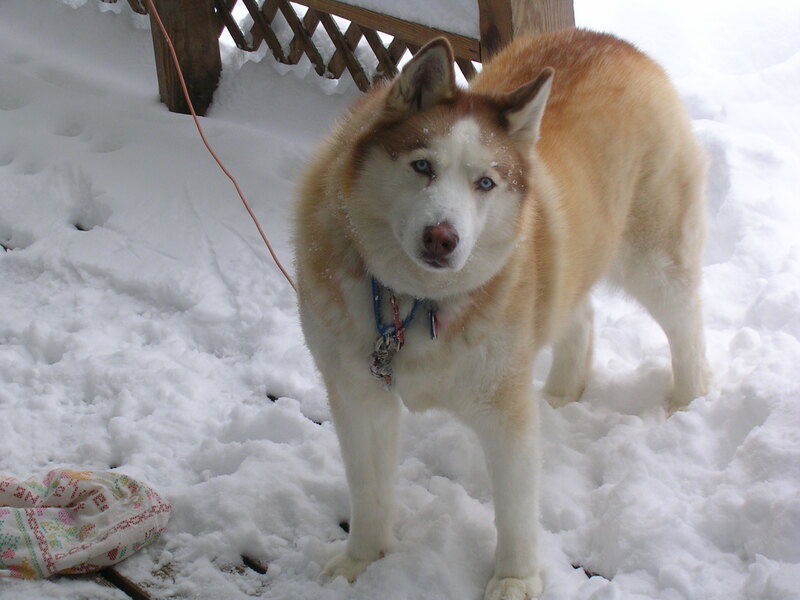 Who would have ever thought that getting a 60 pound wooly coated 10-year-old Husky a bath would be such an ordeal. For years we had a regular groomer, twice a year Sequoia would go to this groomer at great expense and come back a clean, if not a little hoarse (yes she would howl the entire time). However, the last time we went to make an appointment her groomer told us she was booked for the year. Who the heck schedules a dog grooming session a year in advance? So, it was time to find another solution. We found another highly recommended groomer, but when we started asking around we heard some stories we didn’t like. Twice we heard that this groomer ended up shaving a dog without the owner’s permission. Nope, not going there. We decided we would try the ‘do-it-yourself’ dog wash. However it was expensive, you were limited to 10 minute intervals and any way you approach it, it was going to be a lot of work. It takes a groomer a good 3 hours minimum to wash, brush and dry Sequoia. I dreaded the ordeal. Nine years ago we took her to Petco where they did a horrible job. We think they were afraid of her so they cut some corners. But it had been nine years, and we have heard both good and bad things. We found ourselves in Petco one Friday without the dog and we decided to check out the grooming service. We asked our questions and gave them the scoop on Sequoia. We told them straight up what they were up against, a ten-year old, really strong, really dominant husky who was not afraid to get mouthy. She was rescued from an abusive home and not socialized well and does not get along with other dogs. She is really sweet but does not like to be fussed over and she cries when we leave her in a strange places (except when we left her with my sisters mother-in-law where she did beautifully, or so we were told). We got a goodish vibe, we met the groomer who takes care of the more challenging dogs and she seemed pretty confident. We an appointment for Sunday at noon. Saturday evening we decided to get a head start and brush her out as best we could. Kind of like cleaning your home before the cleaning service people arrive. And true to form we decided to clip her nails even though it was included in the cost. We have a fool-proof method of achieving this event, I pin her down while my wife does the deed. (I am pretty sure my parents will have something to say about this). Soon it was time to leave, I’m sure we were more nervous than Sequoia or the groomer. When we left her at Petco we looked in the window where they trying to put her in the cage. The groomer had Sequoia by the collar and Sequoia was doing the stubborn thing, meaning she was twisting around in her collar grabbing at the groomers hand while heading in any direction but the cage. They got her in, we left the store. We got a full report from her groomer who looked a little beat up. Sequoia it seems, can be quite the handful. She escaped once and ran around the kennels like a crazy dog. She took to the bath okay but she really didn’t like to be brushed. Much to the groomers credit she did her best and told us quite frankly that she just couldn’t brush her out as well as she would have liked. We assured her this wasn’t a problem, we could brush her out in small periods over time. It was the bathing that was the problem for us. I’m guessing Sequoia was not the hooligan she could have been as when we left the groomer gave me a slip of paper with the recommended time to get her groomed again complete with a 10% off coupon with her next visit.